When you think of malpractice, you probably think of doctors performing surgery on the wrong body part. Malpractice can occur in the dental field, as well. You might have had a bad experience in which you had a procedure done and ended up with an infection. Maybe you have heard stories of dental patients dying from serious reactions to anesthesia. Dental malpractice is no laughing matter. A dentist’s negligence can lead to a lifetime of pain and serious complications that can even affect your general health. Read on to learn more about the most common types of medical malpractice and when you should seek legal help. Within these four categories of malpractice are many types of negligence. For example, infections are common in the dental field and they are caused by negligent work, particularly extractions and endodontic procedures. Another issue with extractions is that sometimes the wrong tooth is removed, resulting in multiple surgeries. Issues are also common with dental implants, as they are often lost or placed on nerves. Many patients also experience issues with crowns and bridges. Lack of treatment planning was common in these situations. Failure to treat periodontal disease is another common issue. While orthodontic work is common, it often leads to complications. Some caused tooth loss and TMJ injury. Dental anesthesia is used quite often, but it often leads to serious complications, including death. Fatalities are especially common among children. Adverse drug reactions are also common. Dentists often fail to take a patient’s medical history and give patients drugs even though they contraindicate their medical history. This has led to fatalities. You would think that dental injections would be fairly easy for dentists to do, but many do them incorrectly. Many dentists hit the lingual nerve when they perform injections, causing injuries to patients. When choosing a dentist, experience should be key. Improper use of dental tools can lead to pain and serious injuries. Dental malpractice can also occur from misconduct not related to the work itself. For example, a dentist may molest a patient or speak to him or her in an unprofessional manner. It is also important to know that a dentist can not perform dental work without your consent. A dentist cannot perform services that you did not agree to in advance. Otherwise, you have the right to file a dental malpractice claim. Dental malpractice is more common than you think. Your teeth serve an important function and it is crucial that you take the steps to protect them. If the damage has already been done, seek legal help right away. The medical malpractice attorneys from Peters Berger Koshel & Goldberg, P.C. offer aggressive representation to help pay for the physical and emotional damages you suffer. We can help you file a dental malpractice lawsuit against the liable party. Call our office at (800) 836-7801 to schedule a consultation. Medical malpractice cases happen more often than you think. While some cases are minor, a doctor’s negligence can easily lead to serious injuries such as brain injuries. Brain injuries can affect victims for the rest of their lives. In 2010, brain injuries led to 715.7 emergency room visits per 100,000 people and 17.1 deaths per 100,000 people. There are many ways in which medical malpractice can lead to brain injury. Read on to learn more about the role of medical negligence in a brain injury case. A medical error can affect the brain in many ways. Some mistakes are subtle, while others can cause immediate damage. Brain injuries can be caused by surgical errors, infections, birth trauma, medication errors, abuse and a lack of oxygen. A blood infection called sepsis can cause organs to fail. Even when doctors are able to cure the sepsis, the patient is often left with brain damage. Babies can suffer brain damage at birth. Birth trauma often happens during labor, when there is a lack of oxygen. When the brain damage happens during the delivery process, it is often caused by medical negligence due to improper use of forceps, vacuum suction, and other instruments. The baby’s nerves and blood vessels can be damaged. As a result, the baby can suffer cerebral palsy, Erb’s palsy, hematomas, fractures, bruises, and hemorrhages. While anesthesia can alleviate pain, it can also lead to brain damage if used improperly. Overdosing, intubation errors and lack of monitoring can lead to oxygen deprivation. The patient can have a stroke and suffer brain damage. The anesthesiologist needs to monitor blood flow to the brain and check to see if the patient has vomited during surgery. If a patient inhales the vomit, it can get into the lungs and deprive him or her of oxygen. Brain injuries can happen during surgery. If a procedure is not performed properly, it can lead to brain damage. Any type of surgical procedure involving the head, such as TMJ surgery, brain surgery, and jaw repair have to be done correctly or they can lead to brain trauma. Brain injuries can also occur when a patient is dropped during a procedure. For example, if the patient is under anesthesia and falls to the ground or has an object dropped on him or her, the patient can suffer serious injuries. Brain injuries can cause permanent damage to the body. With the right compensation, you can treat your brain injury and prevent further damage. However, you can not do this alone. Medical malpractice cases tend to rule in favor of the doctor, so you need the right legal help for a favorable outcome. The brain injury accident lawyers at Peters Berger Koshel & Goldberg, P.C. will offer aggressive representation so you get the compensation you deserve for your damages. We can hold the doctors and other medical professionals liable for their actions. Schedule a free consultation by calling our office at (800) 836-7801. When you think of medical malpractice, you may think of a patient getting injured during a necessary surgical procedure. 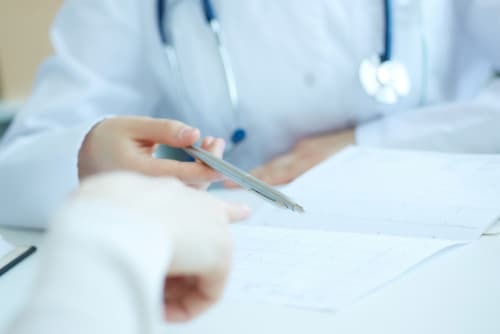 However, malpractice can also occur in situations in which the medical procedure is elective, or not medically necessary, but the patient goes through with it anyway. This typically occurs with cosmetic surgery and plastic surgery. These types of surgeries are not medically necessary, but they still happen frequently. Just like any other medical procedure, mistakes can happen and cause the patient to become seriously injured. In extreme cases, fatalities can occur due to medical malpractice. What are your options for legal recourse in these situations? Can you file a lawsuit and recover compensation for your injuries even though the procedure may not have been required? Read on to learn more. First, it is important to differentiate between cosmetic surgery and plastic surgery. While these terms are often used interchangeably, they are two different types of procedures. While both augment the body to some degree, they each have different goals and outcomes. Plastic surgery is a type of surgery used to reconstruct a face or body part that may be disfigured due to an injury, burn, birth defect, or other medical condition. Cosmetic surgery, on the other hand, is not done for a medical reason and is instead performed solely for appearance purposes. Examples of these procedures are liposuction and some rhinoplasty (nose jobs). Medical malpractice can occur in elective procedures. For example, lack of informed consent may apply. If the patient was not informed of the risks involved with plastic surgery, and then suffered an injury, they might blame the doctor. Had the patient known about the risks, they might have declined the procedure. Surgical errors can also occur. The doctor might not administer the right amount of anesthesia. The doctor could leave surgical instruments inside the body or perform work on the wrong body part. Plastic surgery can also lead to pneumonia, infections, disfigurement, skin discoloration, and even death. The average settlement for surgery malpractice is $425,000, while a jury award can top $1 million. When the medical malpractice occurs during a plastic or cosmetic surgery, however, obtaining proper compensation can be challenging. The defense will argue that the surgery as not necessary, and therefore the patient should not receive anything. Another issue to consider is biased jurors. Jurors might believe that those who get cosmetic surgery are vain, lazy, or rich. This may not be fair, but it happens. There are risks involved with any medical procedure. If you have elected to undergo plastic or cosmetic surgery and ended up injured in the process, you may be able to file a claim against the negligent medical provider. Medical malpractice cases are extremely difficult to win, especially when they involve cosmetic surgery—an elective procedure. The plastic surgery malpractice lawyers at Peters Berger Koshel & Goldberg, P.C. can assess your case and help you obtain the compensation you deserve. To get started, call our office at (800) 836-7801 to schedule a free consultation. When you schedule a doctor appointment, it is assumed that you will consent to a physical exam, particularly if you are ill. However, a doctor can not perform invasive tests or surgical procedures without what is called informed consent. Under informed consent, a patient is entitled to learn about the benefits and risks of recommended medical procedures so that he or she can make informed decisions. They may choose to go ahead with the procedure or opt for an alternative, but the patient must have a solid understanding of what to expect. Informed consent is based on the premise that a patient has the right to make his or her own healthcare decisions. This is best done through informed consent, which describes the risks and benefits of the test or procedure thoroughly. Informed consent also provides the patient with alternatives so that he or she can make the right choice. If the patient agrees to the procedure, he or she will need to provide written consent as proof that the patient allows the procedure to be performed. The patient has the ability to ask questions and get them answered in a timely manner. When is Informed Consent Not Required? In a medical emergency, immediate medical care is often needed to prevent further harm or even death. In these situations, there is no time to obtain consent from the patient, and as such, it is not required. This may apply if the doctor is already performing a procedure and finds another medical issue during the process. The doctor has the right to fix the medical issue without the patient’s consent. If someone is unconscious or otherwise mentally or physically unable to give or refuse consent, then informed consent does not apply. The medical professional can perform the tests or procedures that are deemed fit based on the situation. This also applies if the patient is emotionally fragile or extremely anxious and may not make the right decision based on his or her emotional state. A doctor must obtain informed consent from a patient in most circumstances. If a medical professional performs a test or procedure on a patient without consent, it may result in a medical malpractice case, particularly if the patient is injured. If you or a loved one underwent a medical procedure even though no consent was given, it is important to seek legal help. The medical malpractice attorneys at Peters Berger Koshel & Goldberg, P.C. can help you understand your legal rights. Schedule a free consultation by calling our office at (800) 836-7801. Many of us have had to undergo anesthesia at some time or another as a result of a medical procedure. Anesthesia may be a scary experience for some, but it is relatively safe. It is also quite common, with 40 million anesthesia procedures conducted in the United States every year. Even though anesthesia is a common procedure, it is not without its risks. A documentation error or incorrect dose can lead to serious health effects. Some patients develop permanent nerve damage. Others go into a coma and even die. Many Americans are spending their final years in nursing homes. They cannot take care of themselves in their own homes, and they may not have family members who can give them the around-the-clock care they need. This means that more and more elderly patients are living in nursing homes. While there are some reputable nursing homes in the United States, many break the law and mistreat their elderly residents. They have received numerous citations for violations for serious cases of neglect and abuse. Abuse is done intentionally. This often involves physical injuries and mental distress. Nursing home neglect is different, but also a serious issue in nursing homes across the country and one that can lead to great harm done to elderly residents. Your surgeon operated on the wrong leg. A nurse left a surgical tool inside your body during surgery. Your doctor failed to diagnose your cancer. These are all examples of medical malpractice. Medical malpractice is still a common occurrence in today’s society, despite technological advances. In fact, it is believed that as many as 440,000 people die from medical malpractice every year. This makes medical malpractice an epidemic as huge as heart disease and cancer. Medical malpractice happens quite often. Medical mistakes lead to injuries, medical bills and often intense pain and suffering. While it’s easy to determine your economic damages, finding out how much money you can receive for pain and suffering is a bit more complicated. Pain and suffering is often limited by caps on non-economic damages. Caps tend to apply to medical malpractice cases. While many states have damage caps under $500,000, New York is one of more than a dozen states that has no cap on any types of damages. This means you could receive millions of dollars for your pain and suffering, depending on the severity of your injuries.